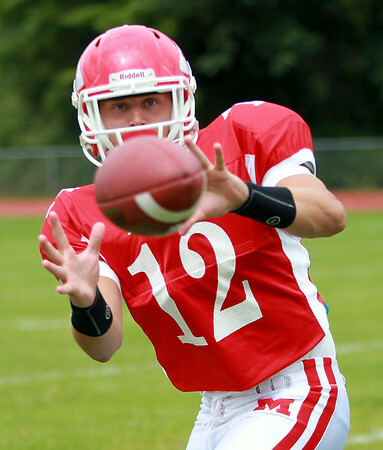 Masco senior wide receiver Corey Tines is a three-year, two-way player for the Chieftans and will look to repeat his 2013 success on the gridiron. DAVID LE/Staff photo. 8/22/14.